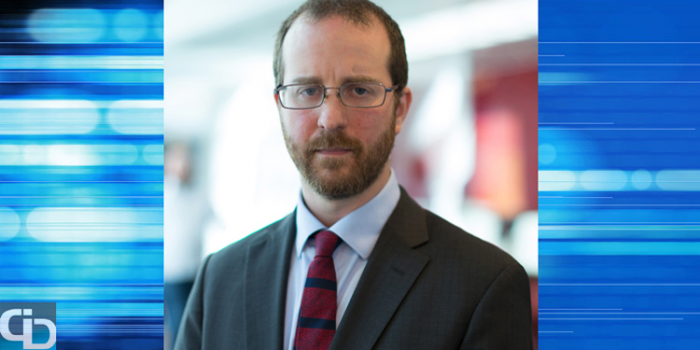 Gideon Mann is Head of Data Science at Bloomberg, guiding the strategic direction for machine learning, natural language processing and search on the core terminal for the past two years. He's part of the leadership team for the Office of the CTO, as well. He joined Bloomberg after a notable role with Google Research. In addition to academic research, his team at Google built the core middle-ware libraries for small-to-medium sized machine learning and publicly released the Google Prediction API, Smart Auto-Fill for Sheets and coLaboratory (open-sourced as part of iPython/Project Jupyter). icrunchdata speaks with business leaders about their careers in data science, what they are focusing on in their current roles and what their interests are outside of data. In our conversation with Gideon, he shares key skills for success in data science, the latest at Bloomberg and growing up with current peers. Which of your skills do you find most relevant for success as Head of Data Science? In order to be an effective data scientist, you must have 1) the skills to apply techniques to utilize data, 2) a deep knowledge of mathematics and 3) the ability to listen. The third skill is most important since the solution to problems is often deeply rooted in the question itself. What does the first hour of your work day usually look like, and how do you prioritize your biggest action items? I review my to-do list, answer any overnight emails and look at my calendar for the day—asking myself: What do I urgently need to do? I try to balance between being reactive and strategic—what I need to urgently address and what is going to be urgent in a month or a year from now. Tell us about a recent win for you and your team. At Bloomberg, we make extensive use of Solr, the open-source search engine, and contribute back to the project. One of our most recent contributions is a machine learning ranking engine which enables companies to automatically tune their search ranking system based on customer feedback. We're curious... What’s the most impactful initiative you’re working on today? I would say everything we do is impactful for our customers. At a high level, we aim to build hybrid systems that augment human ability with sophisticated computation, transitioning from merely making financial information available to helping our clients cope with that vast amount of information. Outside of that, we also have a long tradition of advocacy which has a much broader impact on society. One project in particular is the Bloomberg Data for Good Exchange (D4GX)—an effort that uses data science and human capital to solve problems at the core of society. Each year, we help data scientists, both academic and industry, get together with NGO, public sector and non-profit partners to see how they mutually benefit from data science. Is there a simple fact you wish more people understood about Bloomberg's financial data and product offering? Our product isn’t just news. The Bloomberg Terminal is a unique and powerful computing network that brings together real-time data on every market, news, research, analytics, communications tools and trading tools. It's everything business and financial professionals need to make fast, informed decisions. Overall, I’d expect demand will only increase as AI-driven applications provide cheaper and better services. I think it will also be interesting to see changes in the marketplace for AI-enabling technology for companies looking to implement machine learning: what can be acquired in B2B as a commodity and what has to be done in-house. The first wave of commodity Prediction APIs were not successful because they didn’t add enough value over what open source machine learning libraries could provide and introduced unpleasant vendor lock-in. This suggests that value from marketplace machine learning must come from higher up the value chain like object recognition, for example. Let's switch gears a bit. What is the biggest challenge you think the world faces today? I worry about the existential threat climate change poses to our life on earth. Is there a memorable book or story you’ve read recently that resonated with you? I read a book called The Hall of Small Mammals, which is a collection of short stories. It was very moving, and it was nice that it used fiction to help remind us of all the human dimensions of life. If tomorrow someone asked you to start a business unrelated to data, what would you create? I’m very passionate about education—if I started a business, it would be about figuring out how to educate on a more massive scale. If you had to choose three go-to bookmarks or apps, which would you select? Looking back, describe where you grew up and how your roots still influence you. When I was a kid, it just so happened that the small shul my family attended, maybe 100 families, had a surprising number of people who were in the field I am in today, people like Candice Sidner (from MERL), Larry Gillick (from Nuance and Siri), and Barry Blesser (MIT audio engineer). I would say 10-20 percent of the adults were computer scientists, and that seemed totally normal. Only as an adult did I realize that this was a little unusual. Yes, that is a surprising percentage. So if you could tell a younger version of yourself one thing, what would you say? When I was younger, I would get very stressed and anxious about things. I would tell myself that all those things just don’t matter. You grow up and everything gets better. While growing up, did anything specifically attract you to a career in data science? I studied computer science in undergraduate before pursuing a Ph.D. in natural language processing. Since I was a kid, I was interested in science fiction and intelligent robots and never thought AI would take it this far. You went to Brown University. What do you remember most about your time there? When I was there, it was an amazing time to be in the Computer Science department. So many around me went on to do amazing things: Phil Levis (professor at Stanford), Dan Gould (serial entrepreneur, currently VP of product at Tinder), Keith Adams (early Facebook engineer, now chief architect at Slack). My follow classmates were ambitious, talented and driven people who continue to stay ahead in their fields of expertise. They continue to inspire me. When it comes to your free time, what do you enjoy most? What makes you happy? Playing piano—very, very poorly I might add. But it makes me extremely happy. We may guess the answer based on your interests as a kid, but would you rather live a month in the past or the future? The future, I’m obsessed with it—it's where we're going to spend the rest of our lives. Speaking of the future, is there something new you’d like to try soon? Tomorrow I’m going to a beginning African dance class, and I cannot wait. Every dance class I go to I am the oldest and least flexible person in the room, but I love it and just try to come home not that sore. You likely have better moves than us; good luck! We appreciate your time and thought-provoking insights, Gideon.